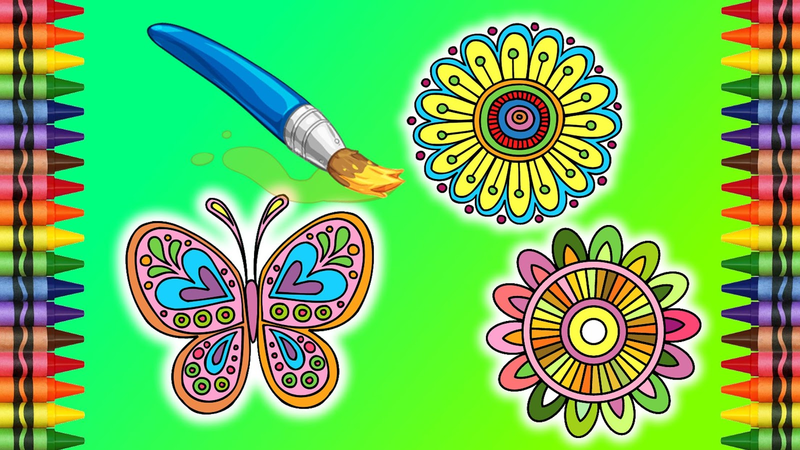 Coloring Book Mandalas is a tool for coloringfor the children. The children can use his fingers or light pen tocolor on the tactile screen of intelligent telephone. has a widegallery where there can be chosen a great quantity of images tocolor as well as hundreds of available colors in our palette. 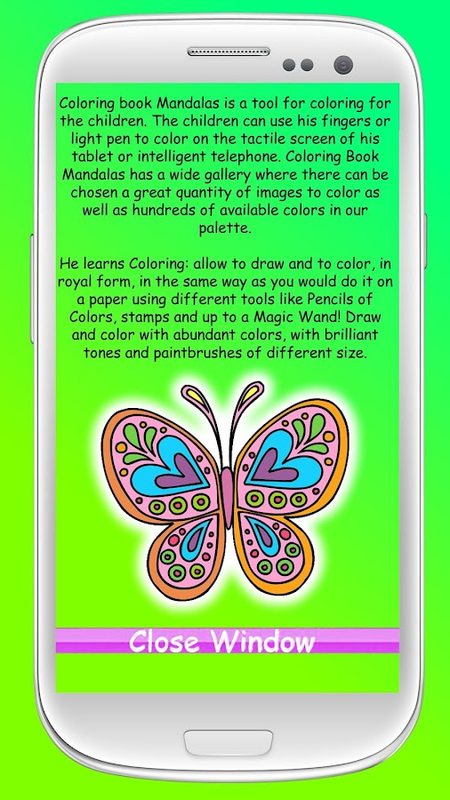 He learns Coloring: allow to draw and to color, in royal form,in the same way as you would do it on a paper using different toolslike Pencils of Colors, stamps and up to a Magic Wand! Draw andcolor with abundant colors, with brilliant tones and paint brushesof different size. To Coloring Book Mandalas is an entertaining application, easyto handle and in addition, serves to motivate the creative capacityof the children in any age. With this application the amusement foryour children is guaranteed. A simple, design simple and exact tothe capacities of the child allows to anyone handling it withoutany problem. The application is optimized to be used so much in intelligentcell phones. Your children will have hours of amusement and alsoyou will be able to amuse coloring together or to do contests ofcoloring with them. The possibilities are infinite, an insurancethat you will find one that adjusts to your needs. This application can be one of the best educational games for thechildren so simultaneously that they draw amuse themselves. Do you want to develop and to motivate the imagination of hischildren and his creative capacity? Unload it and install it already. You do not have to worry forthe problem caused by the traditional way about drawing. * Free drawing : a leaf is included in white for your owncreations. * Paintbrush of several sizes. * Always you will be able to erase any color that you do notlike. The selector of advanced color will help you to choose the exactcolor. Do click in "newly" to select a new or "previous" color tocontinue using the previous one. You can export the image to thegallery of the device and there share it across e-mail, socialnetworks or stamp the drawing of your son. We have designed these images specially for this app and for it,we have the rights reserved. If you are going to use them forcommercial ends, please, consult us before. If you have liked thisapplication, please vote for us in the play store with 5 starssince this helps us to improve all the applications. Coloring Book Frozen is a tool for coloringfor the children. The children can use his fingers or light pen tocolor on the tactile screen of his tablet or intelligent telephone.has a wide gallery where there can be chosen a great quantity ofimages to color as well as hundreds of available colors in ourpalette.He learns Coloring: allow to draw and to color, in royal form,in the same way as you would do it on a paper using different toolslike Pencils of Colors, stamps and up to a Magic Wand! 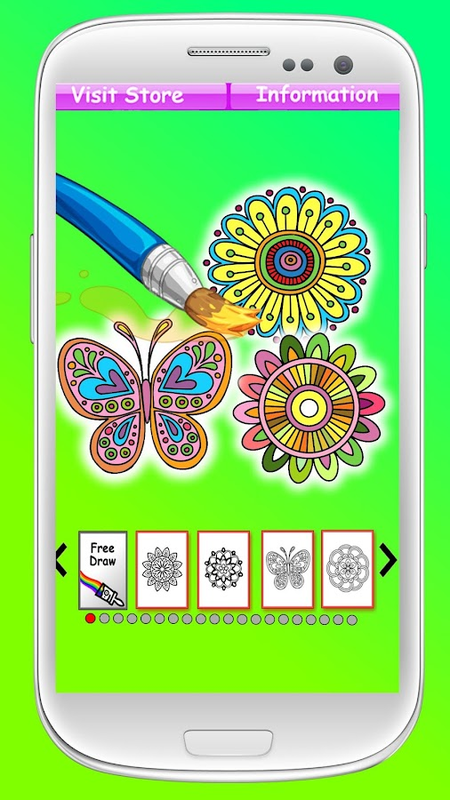 Draw andcolor with abundant colors, with brilliant tones and paint brushesof different size.To Coloring Book Frozen is an entertaining application, easy tohandle and in addition, serves to motivate the creative capacity ofthe children in any age. With this application the amusement foryour children is guaranteed. A simple, design simple and exact tothe capacities of the child allows to anyone handling it withoutany problem.The application is optimized to be used so much in tablets as inintelligent cell phones. Your children will have hours of amusementand also you will be able to amuse coloring together or to docontests of coloring with them. The possibilities are infinite, aninsurance that you will find one that adjusts to your needs.This application can be one of the best educational games for thechildren so simultaneously that they draw amuse themselves.Do you want to develop and to motivate the imagination of hischildren and his creative capacity? Unload it and install italready. You do not have to worry for the problem caused by thetraditional way about drawing.Some characteristics:* Free drawing : a leaf is included in white for your owncreations. * A simple palette of colors to choose the suitable color. * To sabe the drawing in the phone* Colors with brilliant effects. * Paintbrush of several sizes. * Always you will be able to erase any color that you do notlike. * More tan 10.000 colors. * To guard the drawing to continue at any time. * To erase the whole Drawing to return to begin. * To send the drawing to the gallery of images of the device. * Drawings To complete. * To erase the whole linen. * RGB Color Mixer. * Permit to record a note of voice to remember the one who drewit. * Many, many different colors. * Easy navigation for the children and babies.The selector of advanced color will help you to choose the exactcolor. Do click in "newly" to select a new or "previous" color tocontinue using the previous one. You can export the image to thegallery of the device and there share it across e-mail, socialnetworks or stamp the drawing of your son.We have designed these images specially for this app and for it, wehave the rights reserved. If you are going to use them forcommercial ends, please, consult us before. If you have liked thisapplication, please vote for us in the play store with 5 starssince this helps us to improve all the applications. 100 Princess Anime To Paint is a tool forcoloring for the children. The children can use his fingers orlight pen to color on the tactile screen of his tablet orintelligent telephone. has a wide gallery where there can be chosena great quantity of images to color as well as hundreds ofavailable colors in our palette.He learns Coloring: allow to draw and to color, in royal form,in the same way as you would do it on a paper using different toolslike Pencils of Colors, stamps and up to a Magic Wand! Draw andcolor with abundant colors, with brilliant tones and paint brushesof different size.To 100 Princess Anime To Paint is an entertaining application,easy to handle and in addition, serves to motivate the creativecapacity of the children in any age. With this application theamusement for your children is guaranteed. A simple, design simpleand exact to the capacities of the child allows to anyone handlingit without any problem.The application is optimized to be used so much in tablets as inintelligent cell phones. Your children will have hours of amusementand also you will be able to amuse coloring together or to docontests of coloring with them. The possibilities are infinite, aninsurance that you will find one that adjusts to your needs.This application can be one of the best educational games for thechildren so simultaneously that they draw amuse themselves.Do you want to develop and to motivate the imagination of hischildren and his creative capacity? Unload it and install italready. You do not have to worry for the problem caused by thetraditional way about drawing.Some characteristics:* Free drawing : a leaf is included in white for your owncreations. * A simple palette of colors to choose the suitable color. * To sabe the drawing in the phone* Colors with brilliant effects. * Paintbrush of several sizes. * Always you will be able to erase any color that you do notlike. * More tan 10.000 colors. * To guard the drawing to continue at any time. * To erase the whole Drawing to return to begin. * To send the drawing to the gallery of images of the device. * Drawings To complete. * To erase the whole linen. * RGB Color Mixer. * Many, many different colors. * Easy navigation for the children and babies.The selector of advanced color will help you to choose the exactcolor. Do click in "newly" to select a new or "previous" color tocontinue using the previous one. You can export the image to thegallery of the device and there share it across e-mail, socialnetworks or stamp the drawing of your son.We have designed these images specially for this app and for it, wehave the rights reserved. If you are going to use them forcommercial ends, please, consult us before. If you have liked thisapplication, please vote for us in the play store with 5 starssince this helps us to improve all the applications. Coloring Book Princess is a tool for coloringfor the children. The children can use his fingers or light pen tocolor on the tactile screen of his tablet or intelligent telephone.has a wide gallery where there can be chosen a great quantity ofimages to color as well as hundreds of available colors in ourpalette.He learns Coloring: allow to draw and to color, in royal form,in the same way as you would do it on a paper using different toolslike Pencils of Colors, stamps and up to a Magic Wand! 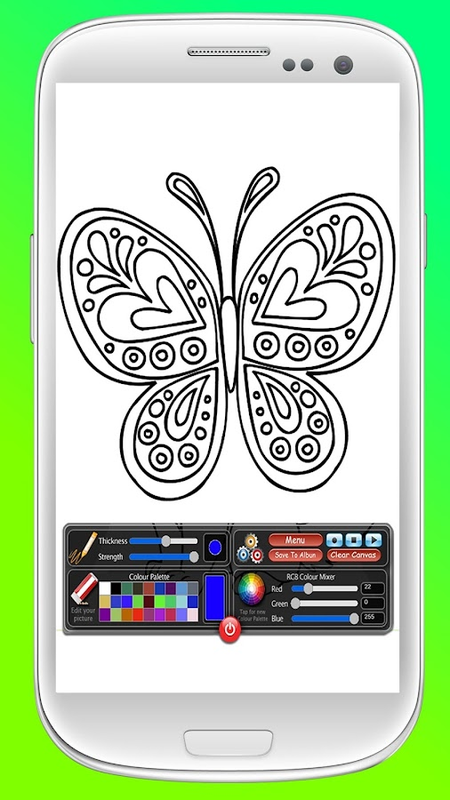 Draw andcolor with abundant colors, with brilliant tones and paint brushesof different size.Coloring Book Princess is an entertaining application, easy tohandle and in addition, serves to motivate the creative capacity ofthe children in any age. With this application the amusement foryour children is guaranteed. A simple, design simple and exact tothe capacities of the child allows to anyone handling it withoutany problem.The application is optimized to be used so much in tablets as inintelligent cell phones. Your children will have hours of amusementand also you will be able to amuse coloring together or to docontests of coloring with them. The possibilities are infinite, aninsurance that you will find one that adjusts to your needs.This application can be one of the best educational games for thechildren so simultaneously that they draw amuse themselves.Do you want to develop and to motivate the imagination of hischildren and his creative capacity? Unload it and install italready. You do not have to worry for the problem caused by thetraditional way about drawing.Some characteristics:* Free drawing : a leaf is included in white for your owncreations. * A simple palette of colors to choose the suitable color. * To sabe the drawing in the phone* Colors with brilliant effects. * Paintbrush of several sizes. * Always you will be able to erase any color that you do notlike. * More tan 10.000 colors. * To guard the drawing to continue at any time. * To erase the whole Drawing to return to begin. * To send the drawing to the gallery of images of the device. * Drawings To complete. * RGB Color Mixer. * Permit to record a note of voice to remember the one who drewit. * Many, many different colors. * Easy navigation for the children and babies.The selector of advanced color will help you to choose the exactcolor. Do click in "newly" to select a new or "previous" color tocontinue using the previous one. You can export the image to thegallery of the device and there share it across e-mail, socialnetworks or stamp the drawing of your son.We have designed these images specially for this app and for it, wehave the rights reserved. If you are going to use them forcommercial ends, please, consult us before. If you have liked thisapplication, please vote for us in the play store with 5 starssince this helps us to improve all the applications. Frozen Free Draw is a paint tool for kids, nowwith this new issue of frozen you'll blow your imagination bydrawing or painting over the images. Kids can use their finger topaint on touch screen with images of ice. They can choose a nicepicture from our gallery to start coloring and paint.Every child likes drawing and coloring game very much, which canmotivate and develop children's imagination.Draw + Coloring Book with plentiful bright color and colorfulbrush is a funny app to motivate children's creative ability.Want to develop and motivate your children's imagination andcreative ability? Download and install it now. You do not need toworry about the problem caused by traditional way such as dyestuffand paper etc.Through its collections of coloring pages promotes thedevelopment of imagination, the arts, enhances concentration andlearning abilities of children. 100 Ponys To Paint is a tool for coloring forthe children. The children can use his fingers or light pen tocolor on the tactile screen of his tablet or intelligent telephone.has a wide gallery where there can be chosen a great quantity ofimages to color as well as hundreds of available colors in ourpalette.He learns Coloring: allow to draw and to color, in royal form,in the same way as you would do it on a paper using different toolslike Pencils of Colors, stamps and up to a Magic Wand! Draw andcolor with abundant colors, with brilliant tones and paint brushesof different size.To 100 Ponys To Paint is an entertaining application, easy tohandle and in addition, serves to motivate the creative capacity ofthe children in any age. With this application the amusement foryour children is guaranteed. A simple, design simple and exact tothe capacities of the child allows to anyone handling it withoutany problem.The application is optimized to be used so much in tablets as inintelligent cell phones. Your children will have hours of amusementand also you will be able to amuse coloring together or to docontests of coloring with them. The possibilities are infinite, aninsurance that you will find one that adjusts to your needs.This application can be one of the best educational games for thechildren so simultaneously that they draw amuse themselves.Do you want to develop and to motivate the imagination of hischildren and his creative capacity? Unload it and install italready. You do not have to worry for the problem caused by thetraditional way about drawing.Some characteristics:* Free drawing : a leaf is included in white for your owncreations. * A simple palette of colors to choose the suitable color. * To sabe the drawing in the phone* Colors with brilliant effects. * Paintbrush of several sizes. * Always you will be able to erase any color that you do notlike. * More tan 10.000 colors. * To guard the drawing to continue at any time. * To erase the whole Drawing to return to begin. * To send the drawing to the gallery of images of the device. * Drawings To complete. * To erase the whole linen. * RGB Color Mixer. * Permit to record a note of voice to remember the one who drewit. * Many, many different colors. * Easy navigation for the children and babies.The selector of advanced color will help you to choose the exactcolor. Do click in "newly" to select a new or "previous" color tocontinue using the previous one. You can export the image to thegallery of the device and there share it across e-mail, socialnetworks or stamp the drawing of your son.We have designed these images specially for this app and for it, wehave the rights reserved. If you are going to use them forcommercial ends, please, consult us before. If you have liked thisapplication, please vote for us in the play store with 5 starssince this helps us to improve all the applications. Coloring Book Little Mermaid is a tool forcoloring for the children. The children can use his fingers orlight pen to color on the tactile screen of intelligent telephone.has a wide gallery where there can be chosen a great quantity ofimages to color as well as hundreds of available colors in ourpalette.He learns Coloring: allow to draw and to color, in royal form,in the same way as you would do it on a paper using different toolslike Pencils of Colors, stamps and up to a Magic Wand! Draw andcolor with abundant colors, with brilliant tones and paint brushesof different size.Coloring Book Little Mermaid is an entertaining application,easy to handle and in addition, serves to motivate the creativecapacity of the children in any age. With this application theamusement for your children is guaranteed. A simple, design simpleand exact to the capacities of the child allows to anyone handlingit without any problem.The application is optimized to be used so much in intelligent cellphones. Your children will have hours of amusement and also youwill be able to amuse coloring together or to do contests ofcoloring with them. The possibilities are infinite, an insurancethat you will find one that adjusts to your needs.This application can be one of the best educational games for thechildren so simultaneously that they draw amuse themselves.Do you want to develop and to motivate the imagination of hischildren and his creative capacity? Unload it and install italready. You do not have to worry for the problem caused by thetraditional way about drawing.Some characteristics:* Free drawing : a leaf is included in white for your owncreations. * A simple palette of colors to choose the suitable color. * To sabe the drawing in the phone* Colors with brilliant effects. * Paintbrush of several sizes. * Always you will be able to erase any color that you do notlike. * More tan 10.000 colors. * To guard the drawing to continue at any time. * To erase the whole Drawing to return to begin. * To send the drawing to the gallery of images of the device. * Drawings To complete. * RGB Color Mixer. * Many, many different colors. * Easy navigation for the children and babies.The selector of advanced color will help you to choose the exactcolor. Do click in "newly" to select a new or "previous" color tocontinue using the previous one. You can export the image to thegallery of the device and there share it across e-mail, socialnetworks or stamp the drawing of your son.We have designed these images specially for this app and for it, wehave the rights reserved. If you are going to use them forcommercial ends, please, consult us before. If you have liked thisapplication, please vote for us in the play store with 5 starssince this helps us to improve all the applications. Coloring Book Ponys is anentertainingeducational applicationthat searches through play and paint increasing cognitive levelsofchildren.This tool parents can introduce the child to the wonderfulworldof imagination and play with a lot of drawings which can alsobepainted.Features Coloring Book Ponys*This version includes more to18 images funny. *Vivid and bright colors of the images retain theirinterestthroughout theeducational process. *Easy and intuitive interface enableseven the youngest children to playwithout help from their parentsall drawings you make, they can be exported and shareacrosse-mail or another application installed. Nail Painting Games is a puzzle gamedesignedfor girls of all presumed more! A beauty game that bringsfun andexcitement, her daughters will not stop playing withthiseducational game!.They can play Nail Painting Games with her friends, who willbeable to solve the puzzles faster? The goal is simple: Sort allthepieces of the puzzle for girls, at first the pieces aremisplacedand mission is to discover order and get the big pictureof thisgame Paint Nails!.Games manicure and pedicure fun, you just have to startplayingfast and solve puzzles. 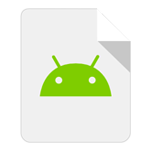 You can install your favorite imageas ascreen. They are the most fun games girls find among allfreeapps.In Painting Games Nail just need a bit ofconcentration,imagination and talent to achieve the goal! Gamesbeauty withbeautiful nail designs and latest fashion trends! GoodLuck!. Coloring Book Anime is an entertainingeducational applicationthat searches through play and paint increasing cognitive levels ofchildren.This tool parents can introduce the child to the wonderful worldof imagination and play with a lot of drawings which can also bepainted.Features Coloring Book Anime*This version includes more to18 images funny. *Vivid and bright colors of the images retain their interestthroughout theeducational process. *Easy and intuitive interface enableseven the youngest children to playwithout help from their parentsall drawings you make, they can be exported and share acrosse-mail or another application installed. Coloring Book Sharks is a tool for coloringforthe children. The children can use his fingers or light pen tocoloron the tactile screen of his tablet or intelligent telephone.has awide gallery where there can be chosen a great quantity ofimages tocolor as well as hundreds of available colors in ourpalette.He learns Coloring: allow to draw and to color, in royal form,inthe same way as you would do it on a paper using differenttoolslike Pencils of Colors, stamps and up to a Magic Wand! 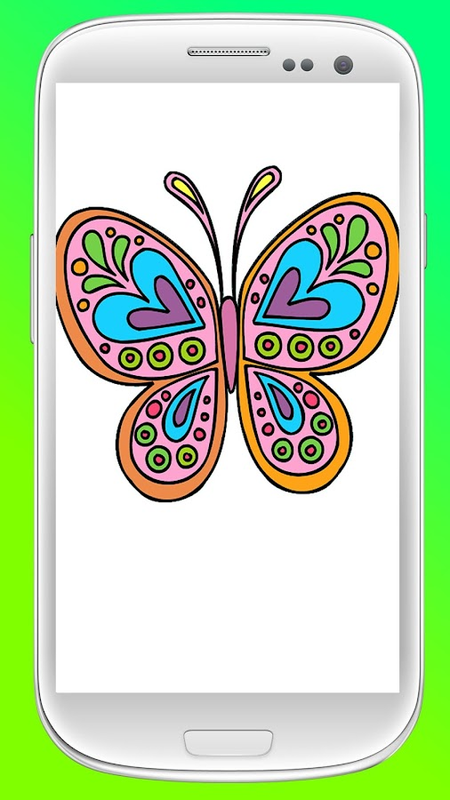 Drawandcolor with abundant colors, with brilliant tones and paintbrushesof different size.Coloring Book Sharks is an entertaining application, easytohandle and in addition, serves to motivate the creative capacityofthe children in any age. With this application the amusementforyour children is guaranteed. A simple, design simple and exacttothe capacities of the child allows to anyone handling itwithoutany problem.The application is optimized to be used so much in tablets asinintelligent cell phones. Your children will have hours ofamusementand also you will be able to amuse coloring together or todocontests of coloring with them. The possibilities are infinite,aninsurance that you will find one that adjusts to yourneeds.This application can be one of the best educational games forthechildren so simultaneously that they draw amuse themselves.Do you want to develop and to motivate the imagination ofhischildren and his creative capacity? Unload it and installitalready. You do not have to worry for the problem caused bythetraditional way about drawing.Some characteristics:* Free drawing : a leaf is included in white for yourowncreations. * A simple palette of colors to choose the suitable color. * To sabe the drawing in the phone* Colors with brilliant effects. * Paintbrush of several sizes. * Always you will be able to erase any color that you donotlike. * More tan 10.000 colors. * To guard the drawing to continue at any time. * To erase the whole Drawing to return to begin. * To send the drawing to the gallery of images of the device. * Drawings To complete. * RGB Color Mixer. * Permit to record a note of voice to remember the one whodrewit. * Many, many different colors. * Easy navigation for the children and babies.The selector of advanced color will help you to choose theexactcolor. Do click in "newly" to select a new or "previous" colortocontinue using the previous one. You can export the image tothegallery of the device and there share it across e-mail,socialnetworks or stamp the drawing of your son.We have designed these images specially for this app and for it,wehave the rights reserved. If you are going to use themforcommercial ends, please, consult us before. If you have likedthisapplication, please vote for us in the play store with 5starssince this helps us to improve all the applications. This Free jigsaw like puzzle game helps your kids develop matching,tactile and fine motor skills while playing 100 different AnimalsPuzzles - horse, cow, pig, sheep, duck, chicken, donkey, dog, catand rabbit, bee, butterfly, mouse, peacock, monkey, owl, fish,dolphin, penguin, frog. It is a fun and educational learning gamefor preschool children and toddlers including those withautism.Watch them learn all the names of numerous pet, farm,jungle, zoo and water animals through fun and play. A pleasantvoice will always encourage and praise your kids and motivate themto continue to build their vocabulary, memory, and cognitive skillswhile playing. The game is enriched with animations,pronunciations, sounds and interactivity for repeat playing &learning. It will keep your kids busy and yet you will never beworried about them losing any piece of the puzzles!And now we haveadded 3 more new themes:* Placing the objects in a scene* Jigsawpuzzle* Memory gameFeatures:Simple & intuitive child-friendlyinterfaceUniversal app for all phones and tablets30 differentlanguages and pronunciations - English, Afrikaans, Arabic, Bengali,Chinese, Danish, Dutch, Filipino, Finnish, French, German, Greek,Hindi, Indonesian, Italian, Japanese, Korean, Macedonian, Malay,Norwegian, Polish, Portuguese, Russian, Serbian, Spanish, Swedish,Thai, Turkish, Ukrainian and Vietnamese.Hundreds of puzzle piecesin 84 different puzzlesEasy navigation between puzzlesEasy movementof puzzle pieces across screenHigh-quality graphicsSweet backgroundmusicDrag & drop animationsBalloon animation & happycheering after each correctly solved puzzleThe theme of this Puzzleis ‘Animals’, check our other apps for more themes like 'Food','Kitchen', 'Furniture', 'Bathroom', 'Cars' and 'Tools'And last butnot least ***All puzzles are available for FREE*** FeedbackPlease:If you have any feedback and suggestions on how we couldfurther improve the design and interaction of our apps and games,please visit our website http://iabuzz.com/ or leave us a messageat [email protected] We would be glad to hear from you as we arecommitted to update all of our apps and games on a regular basiswith new features and also want to get some ideas for future appdevelopment.